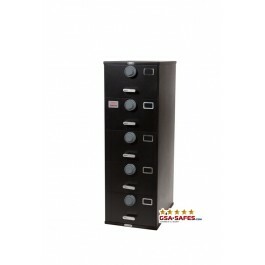 7110-01-614-5352, FIve Drawer GSA Approved Class 6, Legal Width Size V Filing Cabinet meeting Federal Specification AA-F-358. Class 6 filing with a multiple lock design have one lock on each drawer. 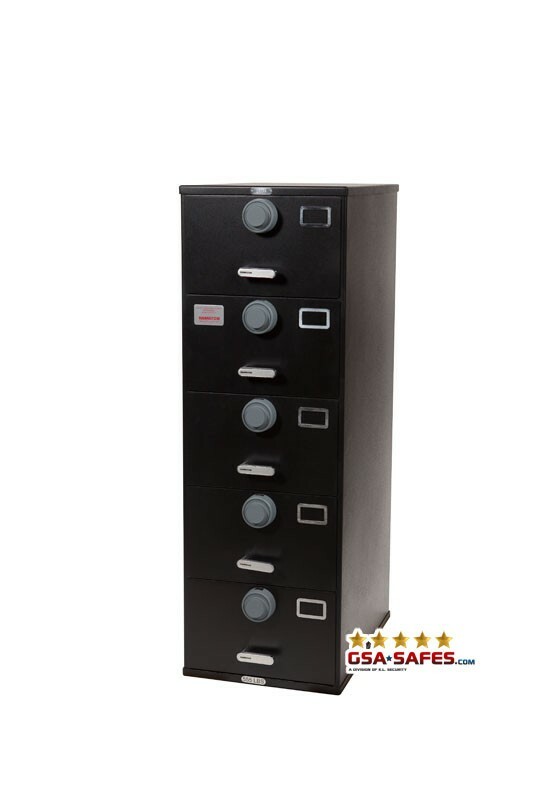 These 5 drawer gsa file cabinets are approved for the storage of secret, top secret, and confidential information.